Hello everyone! 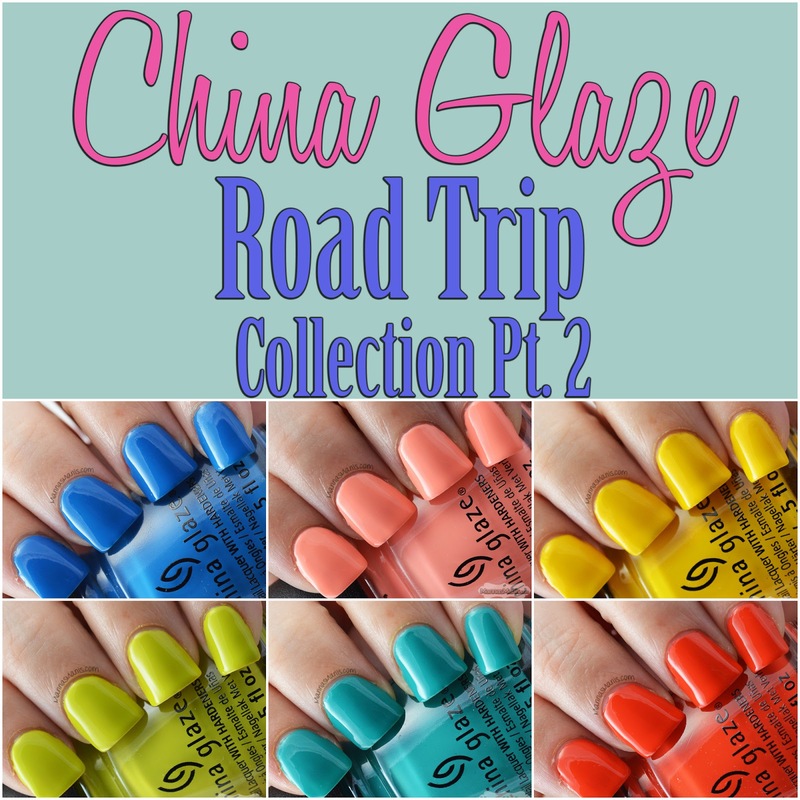 Today I have Part 2 of the China Glaze Road Trip collection to show you. 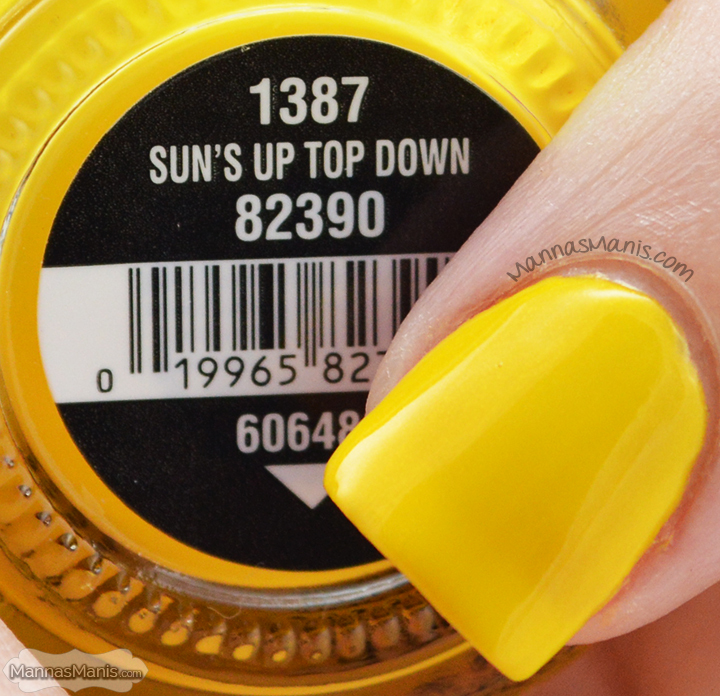 Sun's Up, Top Down is a bright yellow shimmer. I wasn't sure about this color until I put it on, I'm in love! This is 3 coats. Trip of a Lime Time is a lime green creme. 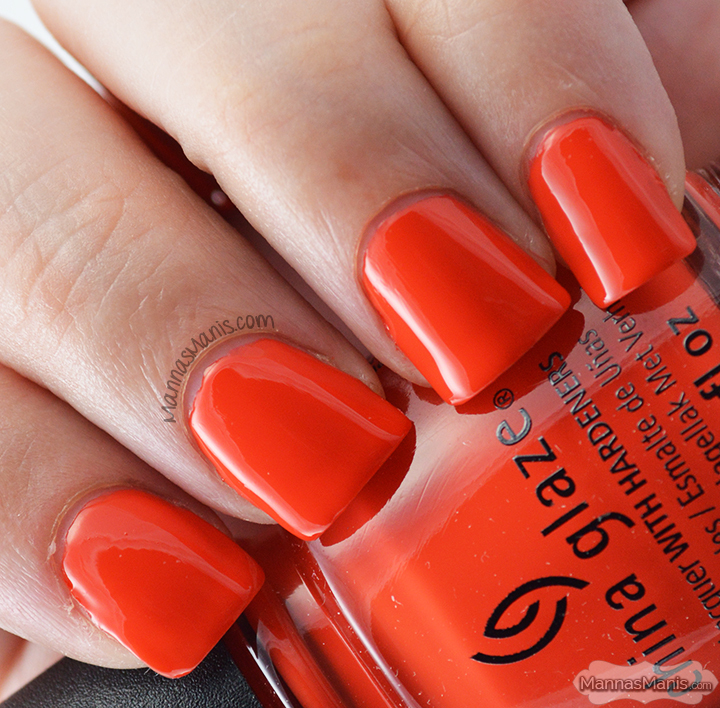 Not crazy about this color at all, I would never wear it alone, but maybe I'll use it for nail art. The formula was very thin. This is 3 coats. 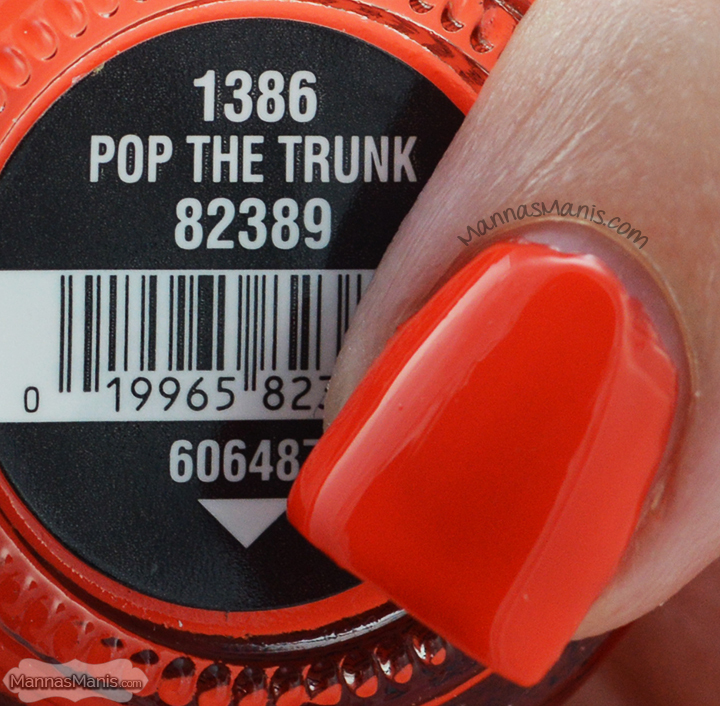 My Way or the Highway (please tell me I'm not the only one that thought of that awful Limp Bizkit song when I saw the name of this polish?!) is a bright turquoise creme. No issues with formula or application. This is 2 coats. More to Explore is a soft coral creme. No issues with formula or application. This is 3 coats. Pop the Trunk is a bright orange creme. I LOVE this shade. No issues with formula or application. This is 3 coats, but you could pull it off with 2 coats. 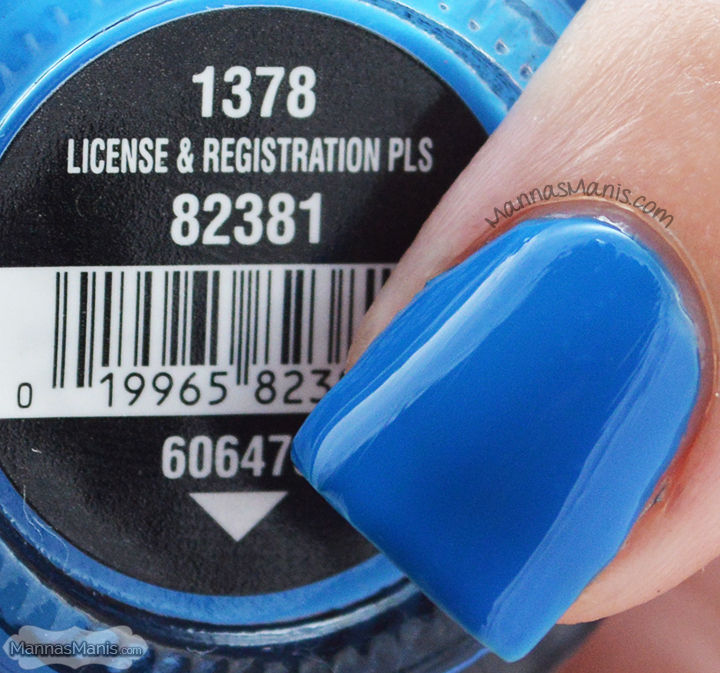 License and Registration Pls is a gorgeous marine blue creme. This is by far my favorite from the entire collection. This is 2 coats. Final thoughts: This collection is nothing "unique" in any way, but I love creme's and there are so many fun shades that can be used for spring OR summer. Overall, I was pleased, even though there were a few issues with the formula for some of them. You can pick up this collection at Sally's, Ulta, or where I got them Head2ToeBeauty. If you missed the first half of this collection, you can find it HERE.